Here you have some ideas, where to spend holidays in Poland. Green spaces, fresh air, charming lakes, waves of the sea… Let’s check recreational areas in Poland. Baltic Sea shore. There are many villages near the sea, more and less touristic, with many beautiful landscapes. We can mention Jantar, Krynica Morska, Sopot, Wladyslawowo, Jastrzebia Gora, Jastarnia, Leba, Ustka and much, much more! You can visit polish islands like Wolin and Uznam. Keep in mind, that 4-6 of August there is one of the biggest early medieval festivals of Slavs and Vikings in Wolin. There will be a lot of attractions and it’s a valuable history lesson. What is more, you can see moving dunes or seals in seal center. What about walking on the pier and waiting for the sun to go down? And having a little picnic on the sandy beach? Daredevils can try snorkeling in Baltic Sea! Holidays in Poland? Baltic shore is beautiful, and there are a lot of attractions around! Mazury. It’s the area of lakes and green spaces. You can try canoeing and sailing, or just swimming near the shore. It’s possible to hire bicycles in there or fly by powered hang glider or baloon. If you wish to see something, there are old monasteries, museums, manors, castles and remains of second world war. Animal lovers will be delighted to see polish horses reservation in Popielno. Think about visiting Mikolajki, Mragowo or Ruciane Nidy. 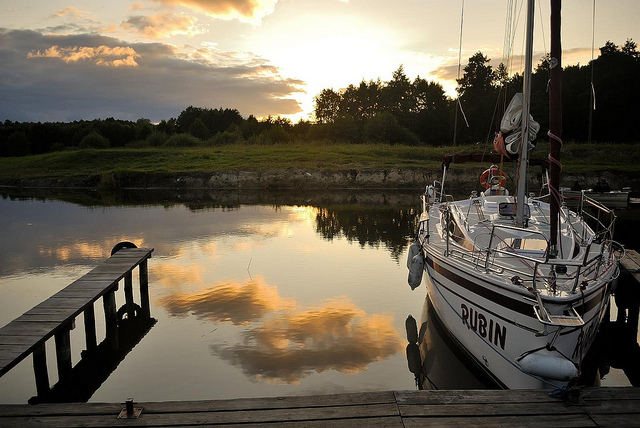 Mazury are charming area in Poland full of lakes and green spaces. All the water sport lovers will be happy in there! What about spending some time between mountains? Hiking, reaching the peaks, sleeping in hostels… It’s also opportunity to meet polish folklore, see traditional dances and singing and then learn some of them! What about swimming in the raft between mountains with a real highlander? Entering a castle with a ghost or old monastery on the hill? In the south of Poland one will find National Parks, interesting museums, mountain trails, and opportunities to do some activities like pontoon rafting, horse riding, hiking or skiing. Eagle’s Nests Trail is idea for active ones. It’s a trail of castles built on the rocks for better protection ( that’s why they are called Eagle’s Nests). You can walk, use a bicycle or transfer yourself on horse’s back from one castle to another- it’s up to you. 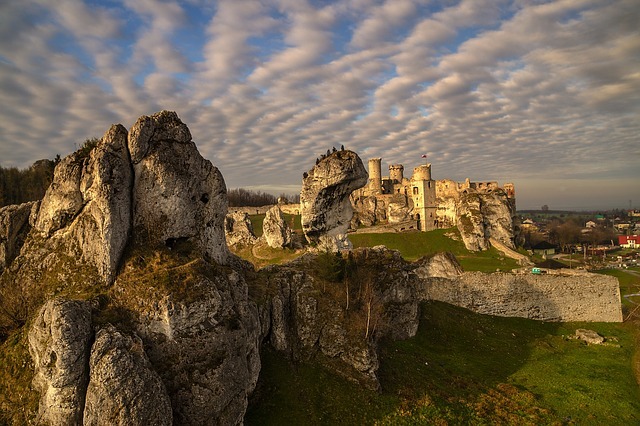 Most popular are castles in Ogrodzieniec, Rabsztyn, Bobolice and Pieskowa Skala. If you will be travelling like royals did in medieval times, there is another interesting place to see near Jura Krakowsko-Czestochowska ( rocks in which castles are built-in). It’s Bledowska Desert, called also polish Sahara. You had no idea there is dessert in Poland, did you? Can you feel medieval atmosphere in this old castle walls? It’s one of many castles on Eagle’s Nests Trail. Would you like to see them all? To sum up- wherever you choose to spend holidays in Poland, it will be interesting time. Nature can surprise both in northern and southern Poland. Active ones will find sports to do, and those who just want to relax without much effort will be pleased to discover how many beaches, romantic shores, restaurants with delicious food and museums may be found in Poland. So, which is your favorite region? I was in Mazury one week and it was amazing! We stayed in little wooden house and every day we enjoyed warm lake every day. It’s really beautiful and the prices are reasonable. I recommend to everyone.